Colt Clark is a Tampa, Florida based musician, with more than 600 songs in his diverse repertoire that spans over six decades. To date he has produced two albums, seamlessly weaving blues and rock and roll into unique and powerful songs. Come watch him perform live! 7-11p.m. Safety Harbor Art and Music Center features live music during Safety Harbor 3rd Fridays. Bob Hope Band will play a free show Feb 16 with local music at their unusual creative venue. 7:30 – 10:30p.m. A fun 5K with 4 craft beer stops on the course! Registration includes, the 5K, beer on the course, a 16oz beer at the finish, a Tampa Beer Run t-shirt and beer glass, along with one amazing after-party and festival including music, food, and drinks. 9a.m.-1p.m. Led by local historians, join us for a leisurely bike ride into the city’s greatest love stories and to its most romantic date spots. 9a.m.-12p.m. All You Care To Taste Beer and Bourbon Tastings as you stroll from table to table and tent to tent. There are over 40 Bourbons and 60 Beers on Tap. Big VIP area… on The Mezzanine and stocked full of specialty tastes and lots of local restaurants showing off their BBQ and bacon dishes. Begins 12p.m. Local Blues musicians will be on stage all day so bring your lawn chairs or enjoy our seating while it lasts. This is a great chance to meet your neighbors, get involved in the community and enjoy the fun. 11a.m.-5p.m. Artists for this years waterfront festival will be revealed on the Big Screen Movie Truck!! Grammy award-winning musicians as well as a full stage of local talent will be this years festival. 6p.m.-8p.m. 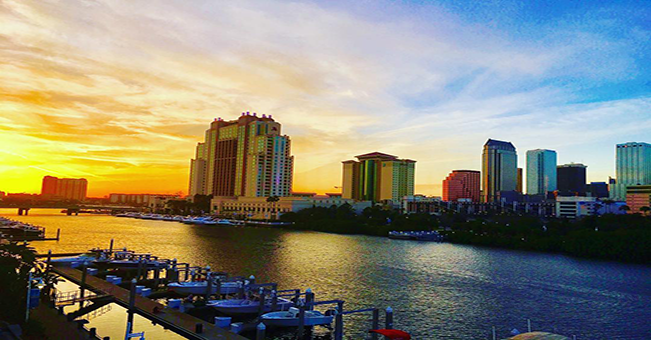 Be sure to use #sotampa with all your Tampa photos!